Cities are the new beaches, according to a new survey by the Association of British Travel Agents, with city breaks now as popular with British travellers as the traditional seaside holiday. 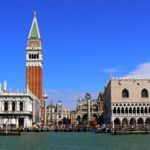 Budget flights, the improving rail network in Europe and new destinations in Eastern Europe and the Middle East mean there’s never been such a wide range of affordable choices for a few days of urban pleasures. The only problem? Choosing where to go. For a romantic city break it’s hard to beat Prague, where beautiful churches, cafe-lined squares and cobbled streets create a fairytale feel. 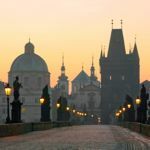 Daily classical, jazz and contemporary performances take place in many of the churches, while 9th century Prague Castle is the largest ancient castle in the world, offering fabulous views over the city. Dubrovnik is another wonderfully romantic city, dominated by the 12th century walls that separate the tangle of streets from the sea. Walk the walls as the sun sets over the Adriatic, or settle in to one of the pavement cafes and listen to the opera singers and classical musicians who busk on the streets. 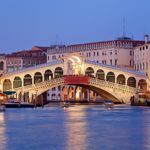 For classic romance, Venice remains the city to beat; whether floating along on a gondola, drinking bellinis at Harry’s Bar, or exploring the quiet charms of the lesser known islands such as Murano or Torcello. Art-lovers should head to the Spanish capital. Madrid boasts three of the best galleries in the world, the Reina Sofia, the Prado and Thyssen-Bornemiza. The city is also home to spectacular gardens; the Jardins Botanico has 30,000 species of plants and offers a welcome retreat from the busy streets. Florence is another top choice for art, with the Uffizi and Galleria dell’Accademia boasting some of the world’s most famous art works including Michelangelo’s David. The city is equally famous for the beautiful Duomo, the 15th century church designed by Brunelleschi. Spring is also a wonderful time to potter about in Rome. Stay at the family-run Hotel Victoria where the roof terrace has views over the Villa Borghese Gardens. Few galleries or museums can rival the Hermitage in St Petersburg, one of the largest and oldest in the world, with six buildings housing three million works of art. Russia’s second city is also home to some spectacularly beautiful churches, with gold-leaf mosaics stretching from floor to ceiling across the internal walls. Another city that works for a weekend break is Berlin – rent a bike to explore and invest in a museum pass. Stockholm is a beautiful city set on an archipelago of small islands. Spring is a great time to visit as the days lengthen and the locals emerge from their winter slumber. For something different, how about discovering the historic charm of Luxembourg with a stay at the five-star Hotel le Place d’Armes. It’s only two hours flying time from London or Manchester. You can also visit some exciting European cities – including Bruges, Rotterdam and Amsterdam – on a mini-cruise sailing from a UK port such as Southampton or Tilbury. Head to Paris where visits to classic sights such as Montmartre and the Arc de Triomphe can be punctuated with wonderful food – try the Latin Quarter on the south bank, or the hip Marais district, home to some of the oldest buildings in the city. Stay at the Pavillon de la Reine in the Marais. Vienna is the perfect choice for those with a sweet tooth; coffee and cake is a staple part of any visit. The Sacher Cafe is one of the most famous in the city (home of the unctuously chocolatey Sachertorte), and there are also the wonderfully ornate former palaces of the Habsburg families to visit. 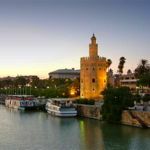 Tapas-lovers should head to Seville, where the streets are lined with tapas bars and stunning Moorish architecture, including the Giralda cathedral, giving a fascinating sight into the area’s Arabic history. 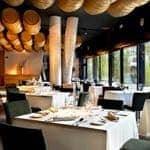 In Portugal, Lisbon has wonderful restaurants, a growing art scene and some lovely boutique hotels. Or head to the quiet, unspoilt region of Alentejo – described as being like the Algarve 30 years ago. You could spend a few days in the gorgeous city of Evora. Try one of these wine and gastronomy breaks in Spain . 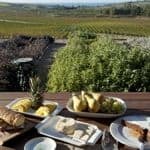 You’ll find short breaks to Madrid, Barcelona and Bilbao, or treat yourself to a three-day escorted tour from Madrid to Barcelona that takes in five wineries in the Ribera and Rioja regions, staying in gorgeous small hotels. 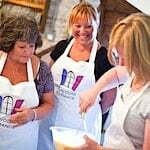 In the UK, you’ll find outstanding cuisine at these hotels: the Castle Hotel in Shropshire, the Gilpin Hotel in the Lake District, and Pen-Y-Dyffryn in the Welsh borders. 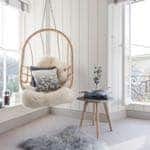 In Cornwall, these great-value B&Bs all offer outstanding food, including The Old Rectory where Thomas Hardy met and fell in love with his wife, Emma. 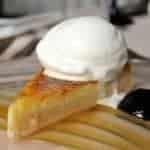 Or hop across to Jersey for gourmet food at the Greenhills Country House Hotel. You can experience one of finest producers of wine in England at Three Choirs Vineyards in Gloucestershire. Tour the vineyards and dine in the award-winning restaurant. If winter has been getting you down and you want a (near) guarantee of clear skies and sunbathing weather, you could head to Madeira to walk the ancient mountain paths and relax at a luxury hotel or traditional quinta. There are non-stop flights from a dozen airports across the UK. Marrakech is just three hours away. The medina is an atmospheric tangle of streets and alleyways that offers fantastic shopping potential in the souks, while the Jemaa el Fna comes alive at night, when food stalls offer barbecued meats and piles of salads, and story-tellers, musicians and snake charmers roam the square. Stay at the owner-run Riad Hikaya or the sumptuous Villas des Orangers. Palma, the capital of Mallorca, is a vibrant, easily walkable city, with a spectacular cathedral, atmospheric old Arab quarter and great shopping. If the weather is warm enough, the city also has some good beaches an easy walk or taxi hop away. 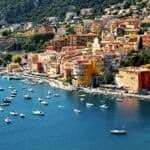 In Sorrento, on Italy’s southern coast, you can mix beautiful beaches, the spectacular scenery of the Amalfi coast and the sprawlingly impressive ancient site of Pompeii. Or head even further south to Sicily. 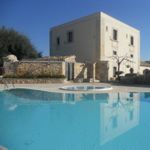 How about a stay at Torre Marabino which has just seven rooms set on an organic farm, where you can breakfast on homemade jams and pastries and fresh ricotta under the shade of ancient olive trees. Another easy countryside escape is the DDG Retreat, a hip hideaway in the hills of Andalucia only one hour’s drive from Malaga airport. Set in a national park, it has a spa, heated infinity pool, hammam, sauna and tennis court. 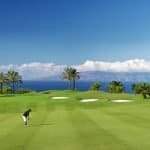 You can also catch some rays on a golfing weekend – they can work equally well for couples and groups of friends. Best options for spring sunshine include The Ritz-Carlton Abama in Tenerife and the Gloria Serenity Resort in Turkey. 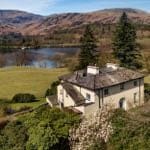 In the UK, it can be difficult finding a cottage rental for a short break (most are sold in seven-day slots) but Bramley & Teal (Kent and Sussex) and The Lakeland Cottage Company (Lake District) offer flexible rentals from one night and up. You can also book weekend breaks at these luxury Cotswold houses and if you want to take your pet, check out this collection of dog-friendly cottages. 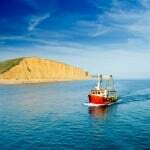 Don’t overlook the charms of Dorset where you can rent a holiday cottage on the Jurassic Coast. Walkers should head to Hassness Country House in a quiet corner of the Lake District away from the crowds. It’s great value, sleeps no more than 21 guests and has daily free guided walks. 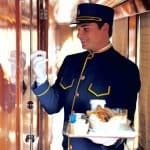 If you want to be extra nice to yourself, the ultimate way to visit a European city is on the Venice Simplon-Orient Express. From London you can get to Venice, Budapest, Verona or Vienna. If you – or your partner – loves sport, how about one of these sporting breaks – everything from Grand Slam tennis (Paris? Wimbledon?) to Formula One (Monaco? Monza?). If you want to get your own body (and mind) in shape, you could invest in a stay with in:spa retreats – you’ll get a delicious healthy diet, personalised exercise programme, yoga, hiking, massage and nutritional advice. Culture lovers should go to Martin Randall Travel – its exclusive music and history weekends are hosted at country house hotels around the UK. 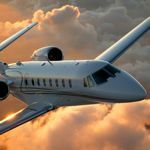 For the ultimate treat, how about a short break by private jet. 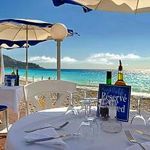 You might be surprised to learn that if you get together with family or friends, options start around £1,000 per person (based on a day trip for six for a Michelin-starred lunch). Pick your airport, and your departure and return times. Also see my tips for the best city breaks in summer, autumn and winter.